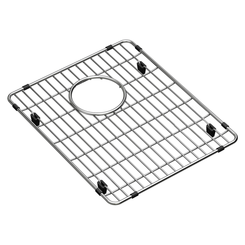 Kitchen sink grids, also known as basin racks, are useful for a lot of different purposes. 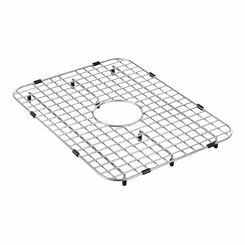 This commonly used kitchen implement is essential to the productive use of your kitchen sink. 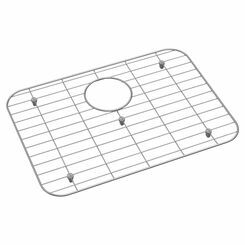 The metal grids allow you to place dishes in the sink without them covering up the drain or touching the contaminated sides of the basin. 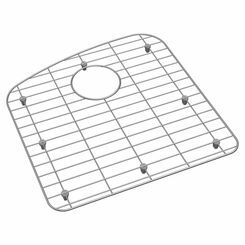 PlumbersStock offers discount sink grids and a variety of other useful kitchen accessories, made by notable manufacturers like Swanstone and Elkay. 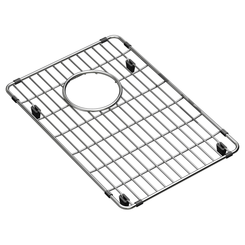 The right kitchen accessories can make the most used room in the home more efficient. 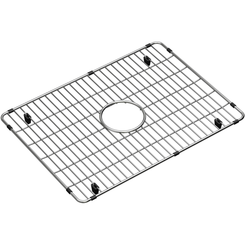 You will get the best usage out of the rack that is right for you and your sink configuration. 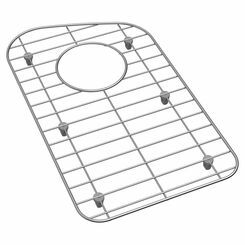 The most important thing is to find a good fit. 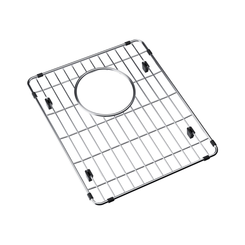 We recommend you look for something that will give you the maximum amount of workspace. 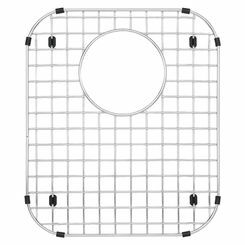 Shapes include rectangle, round, square, D-shaped, and more. 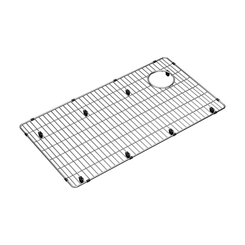 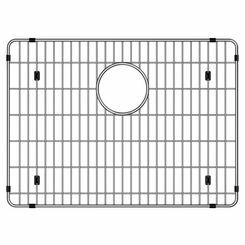 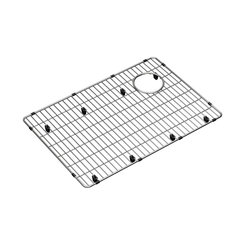 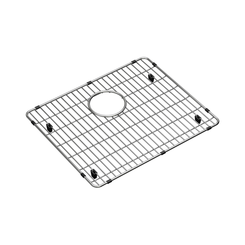 Grids - The purpose of a grid is to protect the sink bottom from excess wear or damage. 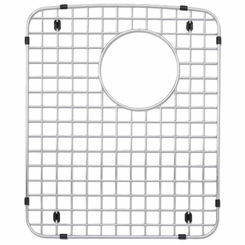 It also makes it easier to drain a sink full of plates. 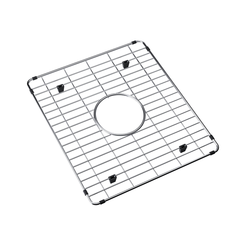 Elkay makes some of the best stainless steel sink grids available on the market. 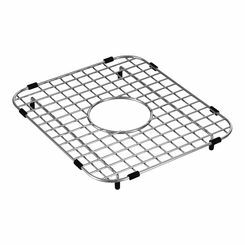 They have developed approximately 150 different models in to fit almost any sink configuration that you can find. 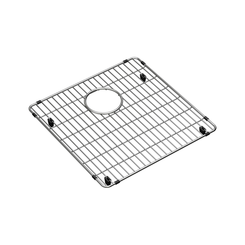 Keep in mind your sink may have an odd shape and there could be a specific grid for it. 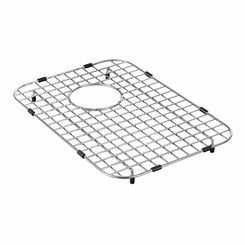 Wire Baskets - A wire basket is ideal for rinsing vegetables and other miscellaneous tasks. 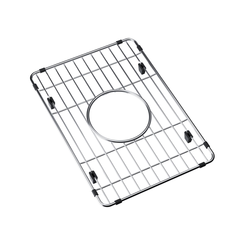 The consumer can purchase a wire basket and use the unit in almost any sink; the item does not necessarily have to be used with any specific sink.